What's wrong with bottled smoothies? Before my health transformation, I used to drink a lot of bottled fruit, green, and protein smoothies. I knew all the manufacturers and almost every flavor. For me they were the ‘guilt-free’ alternatives to soda and energy drinks. I now realize I was gravely mistaken with this assertion. Recently, I was in a supermarket walking by a refrigerator featuring all the popular smoothie and juice products when I noticed a woman was putting a chocolate protein smoothie drink in her cart. I would have walked right by, but it was clear to me that she had some serious health challenges. I stopped and asked her, “Have you tried that product before?” She said, “No.” Then I opened the refrigerator door and picked the same drink and began to scan the label. Then I as I began to put the bottle back I said, “Whoa. 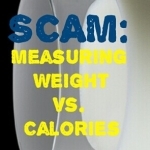 That’s not good!” She asked, “What’s wrong?” I said, “That one bottle is almost 500 calories! 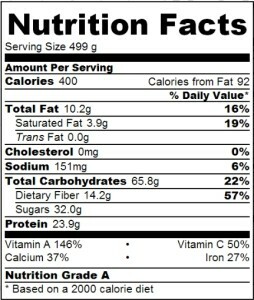 It has as many calories as a whole meal for me. I can’t drink that.” She said, “Wow, I didn’t see that.” And she put the bottle back. I believe this was a victory for her in that she might pay more attention to the labeling of these products in the future. But you may be wondering, “Why this is important?” Careful examination of the product label of this smoothie and a recent lawsuit reveals some important problems with many bottled smoothie products. 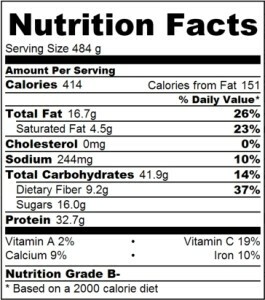 Nutritional label from the ‘unclothed’ smoothie in question. You don’t have to look long at the ingredient list to realize that the first and primary ingredient in this drink is sugar. Although the label indicates that “all sugars are found naturally in the fruit”, the sugar in this beverage is primarily from grape juice concentrate. According to the list of ‘all natural boost ingredients’, the grape juice concentrate is the result of concentrating (or boiling down) the juice of 87 grapes. According to the U.S.D.A. the juice concentrate alone contains 78g of sugar per bottle, so the concentrate was significantly diluted to achieve the 82 grams per bottle as advertised. The problem is that grape juice concentrate is a refined sugar and excess refined sugar is easily converted to fat by the body. It takes only 2 calories to convert 100 calories of refined sugar into fat. This one drink has 320 calories of refined sugar and has the potential to add [98% x 320 cal ÷ 4 (cal/gram) = ] 78.4 grams of fat or just under a 0.20 pounds of fat to your body. This calculation does not include the metabolic impact of this much sugar entering the blood stream at once due to the absence of fiber. If you add up all of the fruit boosts advertised in this drink, according the U.S.D.A. food database, the total fiber per bottle should be 34 grams or 136% of the recommended daily allowance of dietary fiber. However, the label only indicates only 1g of fiber per bottle. How is this possible? Processing. Much of the fiber from this product has been removed by processing or through the use of processed ingredients. This is a problem for those who are trying to manage blood sugar levels and lose weight. Fiber moderates the uptake of sugar in the blood stream. The lack of fiber in this drink will produce a strong blood sugar spike, causing the pancreas to dump insulin in the bloodstream and store this sugar in fat cells throughout the body. Potassium Hydroxide leaking from battery. In order for this beverage to achieve its advertised nutritional content, synthetic (man-made) chemicals, vitamins, and minerals were to be added to the recipe after the product was processed. 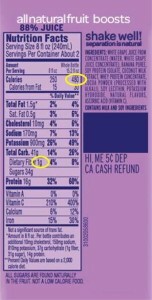 Evidence of synthetic fortification is clearly seen on the label. 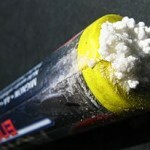 The first substance added to this product is Potassium Hydroxide, an industrial compound found in alkaline batteries. Potassium Hydroxide is helps this drink achieve the 1710 mg of potassium listed for this beverage. Shouldn’t this potassium have come from the fruit in this drink? One cup of mashed bananas has 803 mg of potassium. The other problem is that according to the Centers for Disease Control National Institute For Occupational Safety and Health (CDC-NIOSH) reports that Potassium Hydroxide can cause skin, eye, and respiratory system irritation at concentrations as low as 2 mg/m^3 or the amount the size of a pencil eraser head inside a dorm room mini-fridge. Furthermore, the protein level of this drink was enhanced with addition of soy protein isolate. Dr. Joesph Mercola associates soy protein isolate with infertility in women and low libido and sperm count in men. Finally, Ascorbic Acid is added to enhance the Vitamin C content of this drink. During the writing of this article USA Today reported the outcome of a lawsuit against Pepsico, the parent company of smoothie maker, Naked Juice. Pepsico was sued to have the words ‘all natural’ removed from the label of all Naked Juice products. Why? In an emailed statement, the company [Pepsico] said it uses “an added boost of vitamins” in some of the drinks. 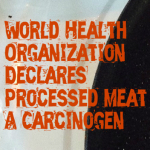 But a lawsuit filed against the company noted that the vitamins are actually synthetic ingredients, including a fiber made by Archer Daniels Midland. 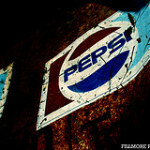 Pepsico paid $9 million to settle the lawsuit. The FDA is concerned about “all natural” claims because so many food products are processed and are no longer “a product of the earth.” Furthermore, Pepsico was cited for using genetically modified organisms as ingredients in their drinks and can not longer use ‘non-GMO’ on its Naked Juice product label. It is so simple to make your own smoothies at home using whole-foods and ingredients you can identify. Homemade smoothies are far more nutritious and the only processing required in this case is blending. You can review all of our whole-food homemade smoothie recipes on our site here. To illustrate our point, we designed smoothies to match the calories of the bottled smoothie under scrutiny in this article. Clearly you can reduce the calories with minor adjustments. Here are two sample recipes. *Based on Whey Protein Isolate. Whey Isolate is a fat-free, lactose-free milk based protein source. This smoothie is approximately 16 oz. of liquid and contains 37% of the daily value of dietary fiber. **This recipe uses organic brown rice protein to enhance protein content. The combination of spinach, cherries and chocolate are surprisingly delicious. It doesn’t take much to make a smoothie that is better for you than an off-the-shelf processed food. Explore, experiment, and make your own drinks at home today! Enjoy. WHY YOU SHOULD AVOID BOTTLED SMOOTHIES by Off The Grid Health is licensed under a Creative Commons Attribution-ShareAlike 3.0 United States License. 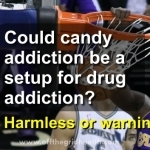 Based on a work at http://offthegridhealth.com/?p=2815. Great article. Any opinions on Bolthouse Farms Green Drinks? Thank you. I’ll look into it but it is always best to make your own and put it in a cold thermos!